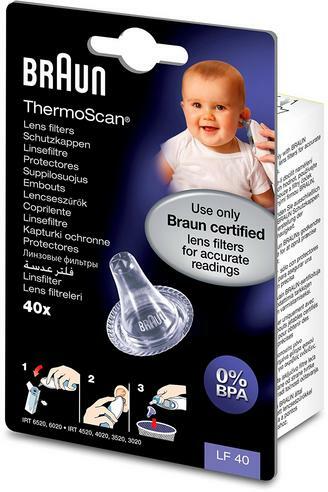 Braun Thermoscan Lens Filters LF 40 are designed to ensure accuracy and to prevent cross-contamination with Braun Thermoscan home-use thermometers. 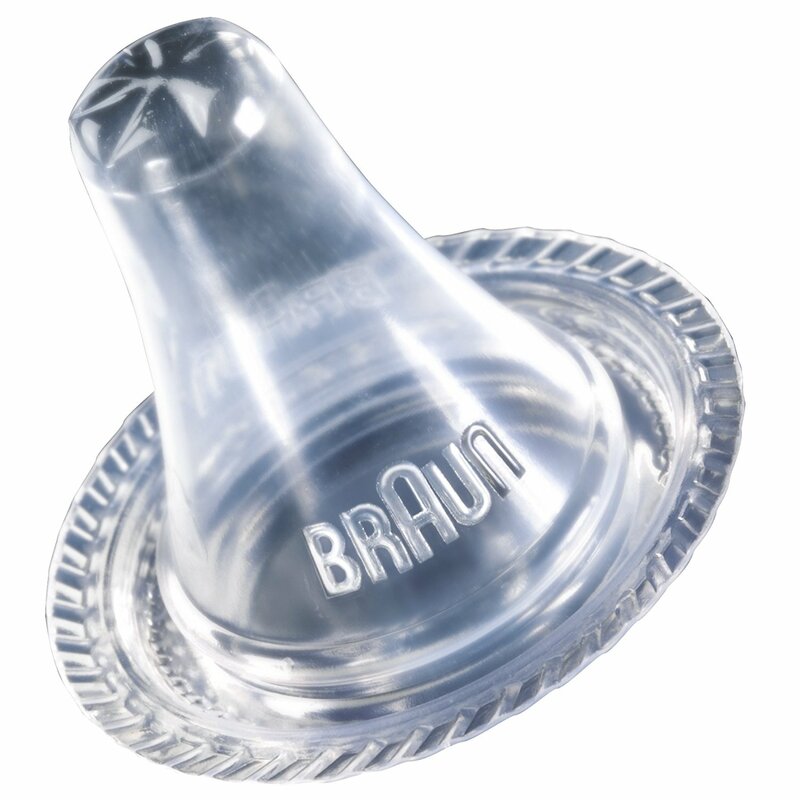 These Braun Filters are Braun-certified for consistent accuracy. 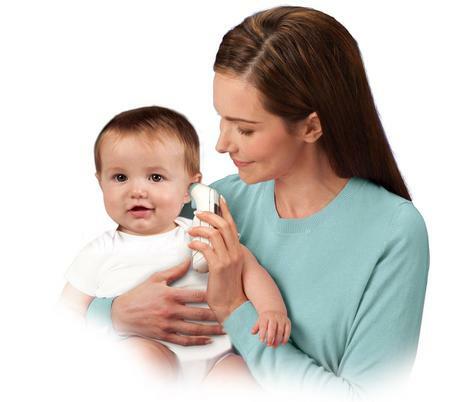 The filters for the Braun Lens, filters are easy to install and remove and are disposable for your baby's safety. Genuine Braun lens filters are designed to comfortably fit Braun ThermoScan Ear Thermometers (IRT3020, IRT4020, IRT4520, IRT6020). 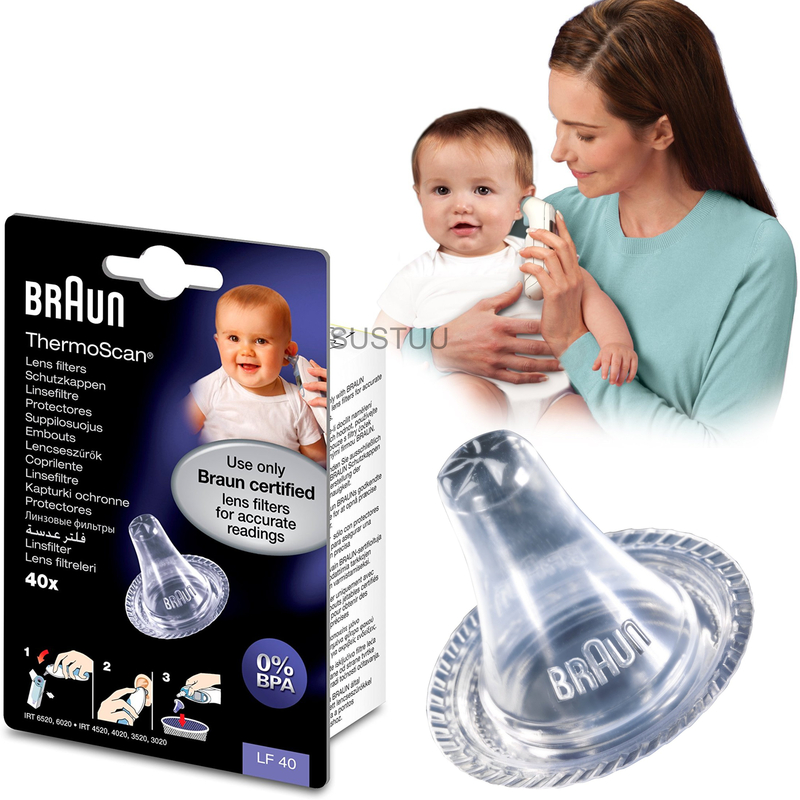 Each filter should only be used once, reducing the risk of contamination.